New paper on programming ethical A.I. This article argues that existing approaches to programming ethical AI fail to resolve a serious moral-semantic trilemma, generating interpretations of ethical requirements that are either too semantically strict, too semantically flexible, or overly unpredictable. This paper then illustrates the trilemma utilizing a recently proposed ‘general ethical dilemma analyzer,’ GenEth. Finally, it uses empirical evidence to argue that human beings resolve the semantic trilemma using general cognitive and motivational processes involving ‘mental time-travel,’ whereby we simulate different possible pasts and futures. I demonstrate how mental time-travel psychology leads us to resolve the semantic trilemma through a six-step process of interpersonal negotiation and renegotiation, and then conclude by showing how comparative advantages in processing power would plausibly cause AI to use similar processes to solve the semantic trilemma more reliably than we do, leading AI to make better moral-semantic choices than humans do by our very own lights. You can download a preprint at the above link, and can view (but not download) the final published version here. Hope you all find it interesting! 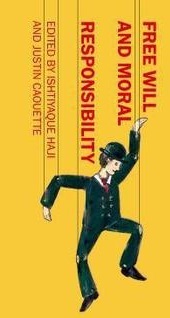 How should we think about the moral risks of philosophy? There's something I've had in the back of my mind lately that I'd like to float out there for discussion. I'm curious to hear what everyone thinks. The question I have is how we should think about the potential consequences and risks of philosophy. While I'm no historian, from what I do know philosophy often seems to make a real impact in the world--sometimes in horrifying ways. Socrates, if I recall, was put on trial not simply because challenged the status quo but in part because his arguments against democracy were thought to be partly responsible for the bloody rise of the Thirty Tyrants. Similarly, I trust many of us have heard that Rousseau's political philosophy influenced the Jacobins and Robespierre, who were responsible for French Revolution's Reign of Terror. And of course there are the not-exactly wonderful forms of government inspired by Marxism; the ways in which Nietzsche's and Heidegger's philosophies have been utilized in the service of Nazism; and so on. Given that philosophy can be (and often has been) used in the service of evil, how should we think about the moral risks of engaging in it? This question has long been in the back of my mind, and surfaced again the other day when I read this article about how Richard Spencer and others in the "alt-right" have again twisted philosophical ideas in support of what many of us regard to be a dangerous and harmful social movement. One possible answer as to how we should think about the moral risks of philosophy is that bad people will find resources to support evil ends regardless of what we philosophers do--so, what we should do is simply seek the truth and do our best to make sure our ideas aren't twisted by evil people. Another possibility is that we have a duty to do more than that: to be careful to defend morally good ideas--ones that cannot easily be twisted to serve evil ends. 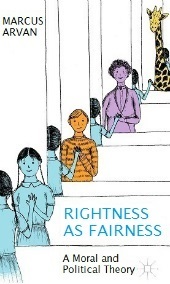 Readers may recall that my 2016 book, Rightness as Fairness: A Moral and Political Theory, argues that morality emerges from a specific form of "mental time-travel": our ability to imagine and care about different possible futures. Specifically, I argue that morality--specifically, the rationality of obeying four principles of fairness--emerges from an adaptive form of gambling avoidance that makes us concerned less about the likely future outcomes of our actions, and instead overwhelmingly concerned with avoiding unlikely bad outcomes. As I have mentioned before, there is already quite bit of empirical evidence that coheres well with this picture. As I have also mentioned before, Rightness as Fairness specifically predicts (on pp. 67-70) that psychopaths behave immorally because they are overwhelmingly concerned with likely outcomes in the near future, lacking the mental-time travel capacities that lead us to imagine and aim to avoid unlikely bad outcomes. What they found, Buckholtz said, was people who scored high for psychopathy showed greater activity in a region called the ventral striatum - known to be involved in evaluating the subjective reward - for the more immediate choice. "We mapped the connections between the ventral striatum and other regions known to be involved in decision-making, specifically regions of the prefrontal cortex known to regulate striatal response," he said. "When we did that, we found that connections between the striatum and the ventral medial prefrontal cortex were much weaker in people with psychopathy." The effect was so pronounced, Buckholtz said, that researchers were able to use the degree of connection between the striatum and the prefrontal cortex to accurately predict how many times inmates had been convicted of crimes. Ultimately, Buckholtz said, his goal is to erase the popular image of psychopaths as incomprehensible, cold-blooded monsters and see them for what they are - everyday humans whose brains are simply wired differently. "They're not aliens, they're people who make bad decisions," he said. "The same kind of short-sighted, impulsive decision-making that we see in psychopathic individuals has also been noted in compulsive over-eaters and substance abusers. If we can put this back into the domain of rigorous scientific analysis, we can see psychopaths aren't inhuman, they're exactly what you would expect from humans who have this particular kind of brain wiring dysfunction." I leave it to readers to decide how well these and other studies reflect on Rightness as Fairness, and whether they should lead philosophers to take its account of morality seriously. In my 2016 book, Rightness as Fairness: A Moral and Political Theory, I argue that morality emerges from a very specific form of concern for our possible future selves--a form of gambling avoidance that aims at preventing possible future regret, requiring us to care about other people's interests. I predict in the book that psychopaths behave immorally because they are not concerned with their future in the way we are, and that individuals with absolute power to accomplish their ends would similarly fail to exhibit the fear of potential future regret that makes morality rational. (pp. 67-70). Two new sets of studies directly support both of these predictions. The idea that psychopaths are cold-blooded, fearless and generally lacking in emotional responsiveness goes back more than 50 years...One thing that has always struck us about this model, though, is it has never provided a compelling explanation for why psychopaths seem to make such terrible choices all the time. In other words, while the purported emotion deficits in psychopaths make for great drama, what really matters about psychopaths is that they make choices that are bad for us and bad for them. In our task both forms of regret can be measured: retrospective regret, which is the emotional experience you have after learning you could have done better if you had chosen differently, and prospective regret, which is when you consider potential outcomes for each option and contemplate which decisions would be regrettable in order to make better future decisions...[Our study found] They have a deficit in prospective regret, not retrospective regret. Second, a number of other studies indicate that power (i.e the ability to get away with bad behavior) causes people to care less about the future and therefore less about others' interests: "Subjects under the influence of power...in studies spanning two decades, acted as if they had suffered a traumatic brain injury—becoming more impulsive, less risk-aware, and, crucially, less adept at seeing things from other people’s point of view" (which Rightness as Fairness also predicts, my italics). These aren't the first studies to support Rightness as Fairness' unique account of moral psychology. As I mentioned a while ago, a new meta-analysis shows that brain regions for gambling-avoidance and concern for one's own possible future selves are systematically implicated in moral judgment and motivation--and another set of studies show that prudential concern for one's possible future selves is neurobiologically inseparable from moral concern for others, and that stimulating concern for one's own future selves increases fair and altruistic behavior, whereas inhibiting concern for one's future selves diminishes them. In truth, I have been a bit disappointed (though not entirely surprised) at the somewhat mixed reception Rightness as Fairness has received thus far. However, my hope is that--whatever the book's other merits or demerits may or may not be--emerging empirical evidence may reveal the theory to have an important basis in truth. A true story, but also a parable? Several years ago, my mother took our family dog (R.I.P.) out in the backyard to do his 'nightly business.' An unexpected rustle in the dark led the dog to growl and confront the intruder. It turns out the intruder was a mother raccoon with several of her babies. To protect them, the raccoon attacked the dog. To protect the dog, my mother the screamed and attacked the raccoon--and the raccoon attacked her. My father, who was in the shower, heard her screams and rushed outside naked with a baseball bat to protect my mother, who he feared was being assaulted by burglars. At that point, a next-door neighbor heard the commotion, and called to police to protect my mom "from a naked man wielding a baseball bat." Several minutes later, a number of police stormed the house like a SWAT-team with guns drawn, ordering my dad to drop then weapon. Finally, animal control showed up to capture and put the raccoon to sleep--and my mom and dog got driven to the hospital and emergency vet. What a disaster, right? Yet here's the thing: so much of human life seems sadly analogous to it. Time and again, we see violent escalations arise from each side of a disagreement insisting that their standpoint is right--that they and they alone have discovered the God's Honest Truth. We see this throughout human history up to the present. 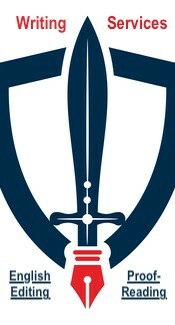 In the Crusades, Catholics and Muslims both claimed to be 'in the right'--and so they fought. In the European religious wars, Catholics, Protestants, etc., claimed to be in the right--and so they too fought. More recently, both sides of the Israeli-Palestinian conflict argue that their side is in the right--and so they fight. Democrats and Republican think they are in the right--and so we fight. And, of course, on blogs, social media, etc., we see broadly the same thing. Wherever we look--on the news, in politics, in academia, etc.--everyone argues they are in the right...and so we constantly fight. When will we ever learn? Better yet, what do we need to learn if we want these kinds of horrible cycles to cease? Allow me to offer up an answer to the latter question, and then return to the former question. A couple of months ago, the first review of my book, Rightness as Fairness: A Moral and Political Theory appeared at NDPR. Because I think books should speak for themselves, but think Rob Gressis is right that it could be helpful to clear up interpretive issues, I have decided that instead of penning a full response to my book's review, it might be best to let the text of Rightness as Fairness address the review itself. Accordingly, in what follows below, I have chosen to simply juxtapose claims made in the book review against the actual text of my book (with one exception where I must paraphrase an argument spanning multiple chapters). For reasons of space, I cannot include every relevant passage from the book. However, I hope the passages I provide clear up some interpretive issues and encourage readers to examine the book more closely. Before I begin, I would like to thank NDPR for commissioning the review, and Richard Dees for taking the time to engage with my work. While I think a few of his critiques have some merit--and thank him for some of the complimentary things he says about the book (e.g. that it has "some interesting insights" and "many inventive arguments")--there are some interpretive issues I would like to clarify. NDPR Review: "Marcus Arvan sets an ambitious project for himself. Using constraints on theory construction modeled on the sciences, he formulates a new moral theory that is supposed to solve all the controversial issues that have always surrounded ethics." NDPR Review: "Leaning heavily on the claim that theories must have "Firm Foundations"...Arvan claims that only instrumentalism qualifies as a possible theory of normativity." Thereby making it rational to act on Four Principles of Fairness, including a principle of virtues of fairness that recursively requires one to become the kind of person who encounters and solves the problem of possible future selves in other cases. Not hold that, "I have to eliminate by interests" in the negotiation. Not hold that one must literally be (e.g.) a black woman in the future in order to have entirely instrumental reasons to treat her interests fairly. Not sneak in any notion of fairness not arrived at through fully instrumental reasoning (for reasons given below). The default mode network regions were commonly associated with moral functions across diverse domains of moral tasks...The results showed that during [moral] judgment tasks, the ventromedial and dorsomedial prefrontal cortices, temporoparietal junction, middle temporal gyrus and connected superior temporal sulcus, middle occipital gyrus, temporal pole, fusiform gyrus, inferior temporal gyrus and precuneus were activated. In the moral sensitivity condition, the dorsomedial, ventromedial and ventrolateral prefrontal cortices, cingulate gyrus, temporoparietal junction, orbitofrontal cortex, middle temporal gyrus, middle occipital gyrus, fusiform gyrus, lingual gyrus, temporal pole, inferior temporal gyrus, precuneus, cuneus and amygdala were activated. Allow me to try to parse this out a bit. To simplify (very) greatly, the problem--which is partially inspired by L.A. Paul's groundbreaking work on transformative experience--is that (A) our present selves have to make decisions on behalf of our future selves, but (B) we do not know which future selves we will actually be (particularly as the future becomes more distant), including (C) what our future selves' retrospective preferences will be regarding our decisions in the present. I then argue that this problem can be solved if and only if our various selves cooperate with each other across time--not just across seconds or minutes, but across decades--to act on principles that are rational for all of one's possible future selves to endorse in unison given mutual recognition of the problem. The final part of the argument is that this cross-temporal agreement consists of principles of fairness--principles which require one to treat all of one's possible selves fairly, and by extension, all other persons and sentient beings. The reason for this is broadly as follows: because one has an infinite number of possible future selves--some of whom are selfish, others of whom care about other human beings, animals, etc.--the only principles that all of one's selves can rationally agree upon in unison are those that strike a certain kind of compromise between self-interest and the interests of others: a compromise comprised by four principles of fairness. Anyway, I argue that a rapidly increasing body of neurobehavioral evidence supports picture (a little of which is nicely summarized here and here). In essence, it increasingly appears not only that (A) the neural mechanisms that enable us to care about our own possible future selves just are the neural mechanisms that lead us to care about others, but also that (B) moral behavior and (self-regarding) prudential behavior are simultaneously enhanced or degraded together in direct proportion to the extent to which we concern ourselves with our possible future selves. Still, all of this is very abstract. Can a simpler, more down-to-earth intuitive case be made for how moral cognition and motivation are rooted in concern for one's possible future (and by extension, possible past) selves? I believe that Christmas parables, of all things, can help! In my new book, Rightness as Fairness: A Moral and Political Theory, I argue that moral cognition and motivation--and by extension morality itself--emerges out of a problem of diachronic instrumental rationality (or rationality across time) that I call "the problem of possible future selves." In brief outline, the problem is that throughout our lives, we are capable of recognizing that we not only have interests in the present, but will have interests in the future--though, since the future has not yet come, we do not know for certain what those interests are. Thus, we have to somehow justify our actions to our future selves, despite not knowing precisely who our future self will actually be. I argue that morality itself--understood in terms of four principles of fairness--is the only rational solution to this problem, and that the moral theory that emerges from these foundations (Rightness as Fairness) satisfies seven principles of theory selection better than alternatives. 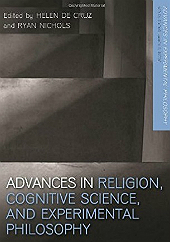 In the book, I argue that a number of converging lines of evidence favor the proposition that morality is founded in the problem of possible future selves, and thus, that (contrary to much of moral philosophy) morality and prudence are continuous rather than discontinuous (or distinct). [Note: references to the findings summarized below are in Rightness as Fairness]. First, it turns out that one of the general cognitive capacities that underlies the problem of possible future selves--the capacity of mental-time travel (which consists in the ability to imaginatively occupy one's own different possible pasts and futures)--varies in human and animal species in more or less direct proportion to moral responsibility. Normal human adults have robust mental time-travel capacities. In contrast, children and adolescents--who we say colloquially are "unable to appreciate the consequences of their actions"--have reduced and still developing capacities to imagine and care about their future. Further, human psychopaths--who are notoriously unable to "perceive moral reasons"--appear to lack robust mental time-travel capacities (and lack brain development in areas thought to be responsible for these capacities. Finally, nonhuman animals also appear to lack mental time-travel capacities. In the book, I also argue that our capacities of mental time-travel underlie our capacity of perspective-taking (i.e. seeing others' perspectives and interests as possibly our own). Second, it turns out in various studies that mental time travel capacities coupled with caring about one's future are strongly implicated in both moral and prudential behavior. On the one hand, some of the strongest individual-level predictors of criminally delinquent behavior are (a) impulsivity, and (b) lack of concern for one's future. On the other hand, studies where people are actively primed to think about their future--such as by interacting with an aged virtual reality version of themselves--have found improved moral and prudential behavior (viz. a tendency to save more money and lesser willingness to cheat or endorse selling stolen property). 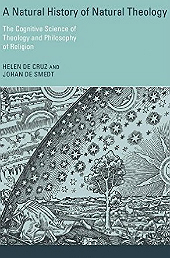 The findings suggest that the TPJ plays an important role in perspective-taking, which Ruff describes as “a very basic social mechanism” that is essential not only for helping us figure out what other people may be thinking and feeling during social interactions but also in self-control, as we weigh the needs and desires of our current self against the needs and desires of our imagined future self. Beyond addiction, self-control and our ability to delay gratification is relevant to almost every decision we make in life, from finishing school to exercising regularly to saving for retirement, which is why Ruff considers understanding self-control central to improving health and well-being. I'm happy to report that my forthcoming book, Rightness as Fairness: A Moral and Political Theory, is now available here for pre-order on Amazon (in the UK? Go here). Seeing as the book description there isn't the best, if you'd like a better idea of what the book is about, see my research statement here. I'll also be adding a chapter-by-chapter overview on my website at some point (probably when the book is officially released). 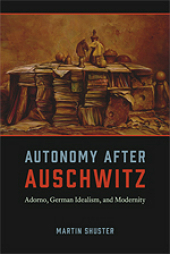 Although I realize the book is pricey ($95), I truly believe readers will find it a worthwhile purchase. (Note: Amazon will give you $30 off instantly if you sign up for their credit card. Though I'm not a fan of credit cards myself, I figured this might be worth mentioning, as $65 versus $95 is a pretty big difference! ).